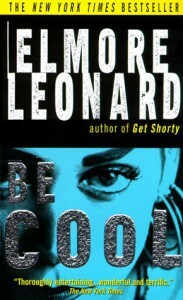 I liked this book, but I didn't love it as much as other Leonard books. It's set in Hollywood, and although the main character Chili Palmer is out-of-place (having missed both movies, I managed to picture a middle-aged retrosexual and not John Travolta for Chili), the rest of the characters are mostly pretty terrible Hollywood stereotype people. I didn't want to know them better and I didn't care if they succeeded or failed to achieve their superficial desires. Except Eliot: him I loved. Fortunately, Leonard's talent for writing -- especially for writing dialogue -- kept me engaged even when the plot didn't.